Thank you so much for sharing this amazing recipe. I had chocolate habaneros growing and couldn’t think of what to do with them. They are insanely hot, so I picked them green and still deseeded them, and adjusted the sauce with half the sugar and a tablespoon of corn starch to thicken slightly. I also added more garlic and fresh ginger. I am so amazed… I want to eat it on everything! Hello, Yeshantha! I am glad you liked the recipe and thank you so much for taking the time to write such a sweet comment. This year Hubby and plan on doing a lot with sauces and barbecues. Would love to have your opinion on them when we post them. Buon appetito!! I made this sauce exactly as the recipe said. I gave all the ten bottles away. A most excellent sauce. Now making my second batch, ever so tasty with any food. My only improvement is having a more peach note under the heat. Bought a bottle of peach schnapps flavouring. Will try to lift that note. Thanks for sharing! Hi, Yola! Thank you for your nice comment. I’m so glad you like it. How clever of you to think of peach schnapps! Let me know how it turns out. Happy saucing!! I’ve a few habanero chillies I’ve char grilled this evening. I had one with a chicken & mushroom sausage… was too hot, had lovely fresh peaches on hand, char grilled, tried again, peach helped with heat. I’ve only eaten 1/2 the sausage, its now wrapped in greaseproof paper with chilli and peach. I cut sausage in half put chilli in pocket and stacked peach over sausage…. will try for lunch tomorrow. Mean while I have the remaining char grilled chillies to deal with, along with a few lovely plump peaches. Unsure to > keep seeds in chillies? i always leave in. How much heat will be lost removing seeds? > will use the peaches fresh/ char grilled, keep skin on or off? 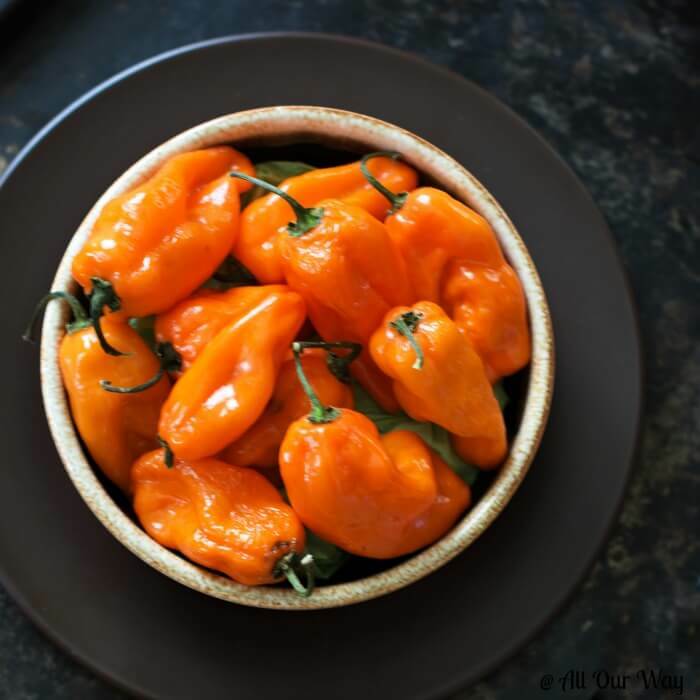 > I am thinking of roasting capsicums ( your bell peppers) to add to mix to add sweet and hopefully cool down heat. what do you think, I what the heat to nicely linger, not grow with a everlasting punch. Hi!! Sounds like you’ve got the beginning of an amazing sauce. Taking the seeds out will help. Now, if you want to retain some of the heat, only do half of them. That’s what we do. When we make our habañero sauce we remove some of the seeds and membranes. Those membranes or veins hold the heat too.The charred peaches sound wonderful. We’d keep the skin on while grilling and remove if you’re going to sauce it. We hope you’re wearing gloves when working with those habañeros — oooheeee! They will burn. We think you’re peaches will be enough to settle the sauce down while removing some of the seeds and veins. Let us know how it works out for you! Happy saucing!!! BTW if you like hot sauces, check out our version of chipotles in adobo sauce. Love this recipe! Thank you for sharing! Just wanted to clarify that the sauce once bottled should be kept in the refrigerator or not? And is the shelf life about 4 months? Hi, Sarah! If you process the sauce in a water bath canner you don’t need to refrigerate it. If you just bottle it in sterile bottles I would keep it in the fridge. I’m so happy you enjoy it. Loved this recipe? Everyone was using it as a dip. Have you ever made a salsa out of this recipe by adding diced tomatoes? No, we haven’t Wanda! We are planning on expanding our hot condiments including BBQ sauces and seasonings. Hope you’ll try them out when we publish them and let us know if you like them. Tomatoes, huh? Will have to try it out. My habaneros have all just about ripened, and ive been looking out for a recipe, so this came at the perfect time! I made it this morning and its just cooling. Was tasting incredibly fresh and fruity, with a lot of sharp kick (added extra habaneros & w/seeds). Thanks a bunch for the recipe, I would have certainly made a bland and uninspired sauce otherwise! Hello, Jackson! Thank you for the nice comment. I’m glad you liked it — we love spicy. 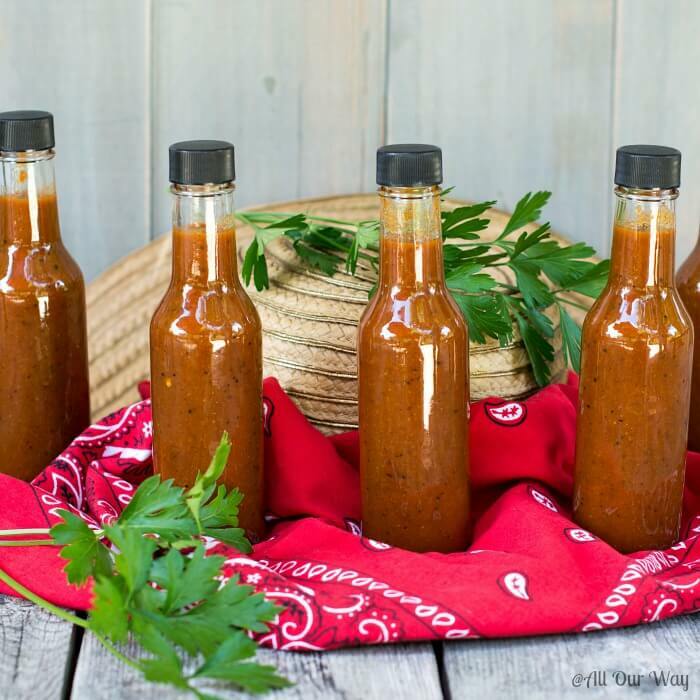 This coming year we’re planning on doing more with spicy sauces, marinades, and BBQ sauces. Our entire family loves the kick they get from that sauce. Happy cooking! wow this is awesome my dear friend you are a creative woman of many trades and here is another. My husband is the hot sauce lover he would love this ! Superb flavor from the blend of spices & enough bite to keep it interesting. Great on omelets. Thank you, Scott! I know we can’t keep enough of this in inventory for the family. Everyone loves it. Wow! Definitely will need to seed my habaneros on the next batch. One dab and my lips were on fire! Love the color and consistency of this pepper sauce. One question about the batch size… I was only able fill four and a half 5oz bottles with this recipe. The only altered ingredient was a 15oz can of peaches, not 15.5 as I couldn’t find that size can at the store. Any ideas here? Thanks! Hi, Eric! Perhaps with the boiling more evaporated or it could be the size of the habañeros. I’d hate to tell you to “water” it down. If the taste is good then I’d experiment with the habañeros. OR, open another can of peaches and add a few slices and liquid from the other can. I’m glad you like it. We’ll be doing more sauces this coming year, including bbq sauces and rubs. It froze here last night so i picked all the green habaneros this morning and I made this but was out of molasses so I substituted dark corn syrup. And it still lit my fire. Thirty minutes and I’m still burning. I will use this recipe again. Yay, Rhonda! Let’s go for that delicious warmth! Hi, made your sauce today. Will use less cumin in next batch…but otherwise great. Taste will change with cooking somewhat, so I will hold off on changes until I grill with it. Hi, Trish! Yes, the taste will change as it rests. We’re glad you like it!! Happy grilling! Do you drain the peaches or put the syrup in the blender too. Hello, Richard!! You toss everything into the blender–syrup, peaches and everything else. You’re welcome, Leo! It is a keeper of a recipe and so easy to. We’re glad you like it. We haven’t made a tomato-based hot sauce yet but we will this coming year. This recipe sounds delicious. I currently have about 9 habaneros from my garden that are ripe. I have a few other green ones that I am hoping will ripen before it gets too cold. My questions are how do I process this in the cute little jars, that I will have to order online? Will the lids take the heat? Or shall I just use small jelly jars? 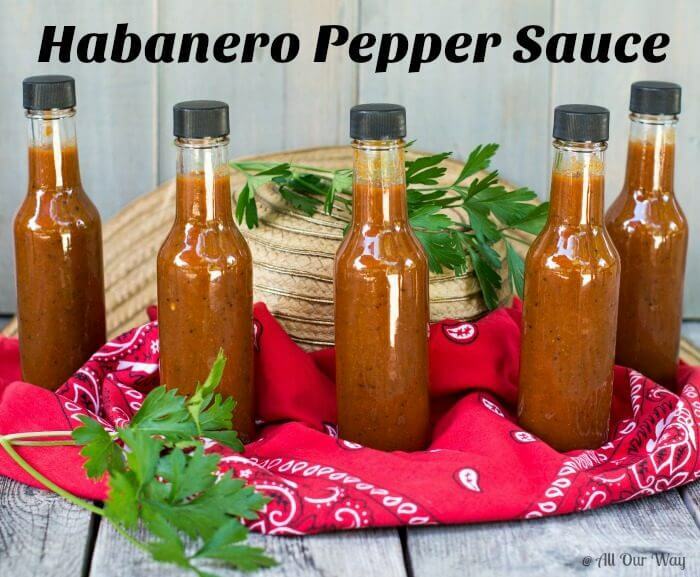 How do I adjust the recipe for my 9 habaneros? Either way, I’ve got to try this;) Thanks for posting. Hi, Pat!! Oh, you are going to love the recipe. You will need a small funnel to fill the jars. And the jars and lids will take the heat. I plan on making on a tutorial on processing and canning — I haven’t done that in years. I use to can ALL the time. But the instructions will be with the jars — process them in a water bath canner. The times should also be online. Next year we will be adding more flavors and also expanding to sauces. Our family loves HOT! And the 9 habaneros you have should be enough. Depending on how hot you like it, you may leave some seeds in. The seeds and the ribs in the peppers are where you’ll get the most heat. WEAR gloves. I’m sure you know that. Let us know how it goes. Can apricots be substituted for peaches. I can’t eat peaches. Hi, Stacey! Yes, you may use canned apricots or nectarines– but if you can’t eat peaches, nectarines may fall into that category. Be sure it’s in light syrup and the can size is the same. We’re sure it’ll be delicious. Let us know how it turns. Happy cooking! Can this recipe be processed? And stored non refrigerated? Or how long will it last unopened . 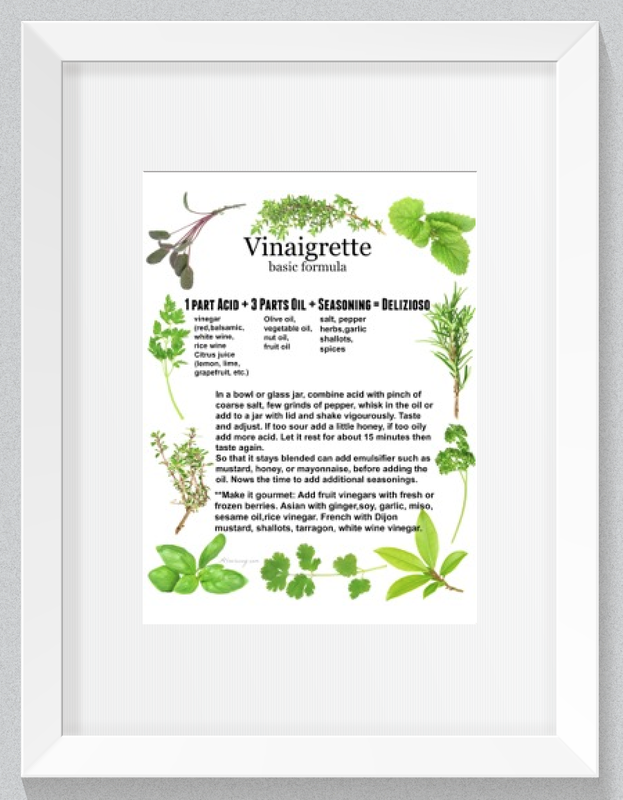 Loved this recipe and alot of people are asking about it. Going to make a tripple batch. So glad you and friends like it, John! Yes, it can be processed and if processed properly for months! If it’s processed and unopened again it would last for months. 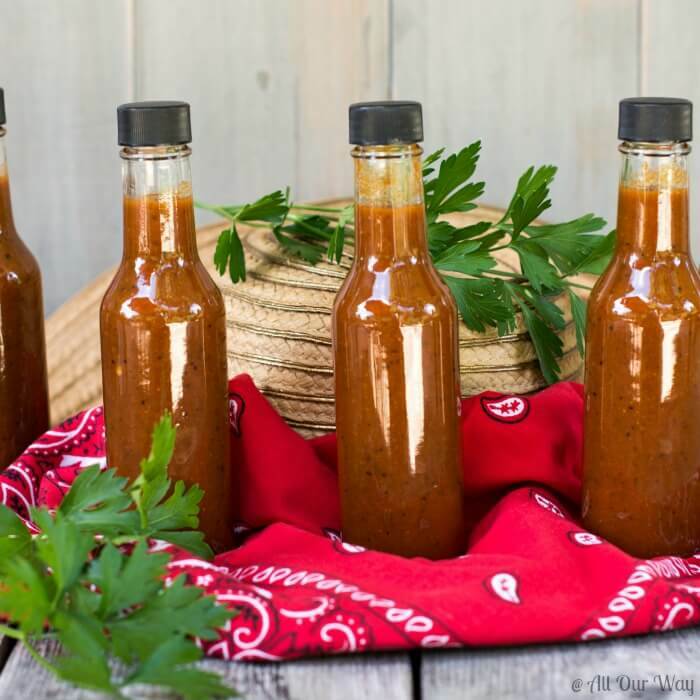 With our family and the way our kids love the sauce, we can’t keep it that long. 😁 Let us know how it’s going! Are you planning on Christmas gifts? ❤️ I’m so glad you like it!! Should we mix all these ingredients in a blender after boiling? Hi, Kat! You mix the ingredients in a blender BEFORE you put them in a saucepan to cook. I know you’ll love the sauce. Hi Marisa, I understand that we need to mix them in the blender BEFORE the saucepan. I was wondering if putting them back in the blender AFTER boiling could be beneficial to the texture/smoothness? Thank you! Oops! Sorry I misunderstood. You really don’t have to — the blender gets it very smooth. The texture comes out perfect. But, if you want to do it again, it wouldn’t hurt. Let us know how you like it. Could I substitute raw honey for the molasses? Hi, Tonya! You could, it would alter the taste a bit but they are essentially the same. Thank you, Lori! The link party is great! Delicious! How long will an opened bottle store in the refrigerator? Hi, Jamie!! A very long time — but it’s never lasted that long for us. It does have vinegar in it plus it’s cooked so you can store it for quite a while.